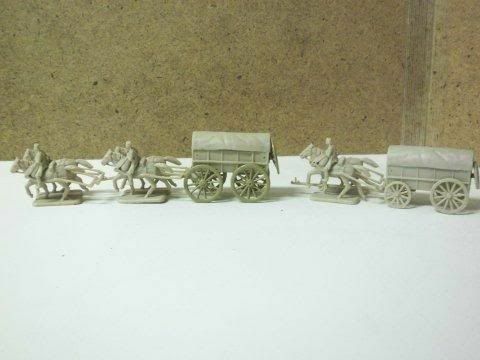 One HaT wagon with Eagle Games wheels to make it look like a heavy wagon and four horses to pull those big loads. Note spare wheels on the back of the wagon boxes. I trimmed the shakos to look like a fez, these will support my WWII Bosnian Infantry.